This ongoing project is inspired by the idea of reupholstering old furniture with pigmented hot glue to give it an updated appearance. 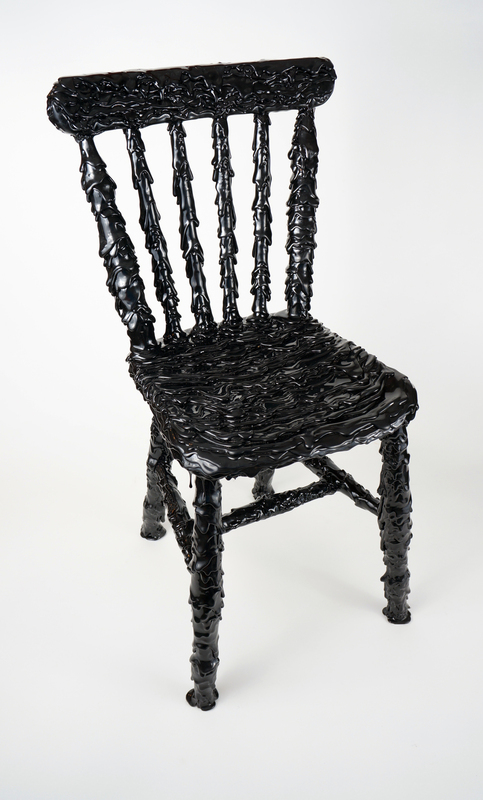 The black chair was found in an antique shop on Brick Lane in London England. According to the salesman it was an over one hundred year old victorian oak chair. 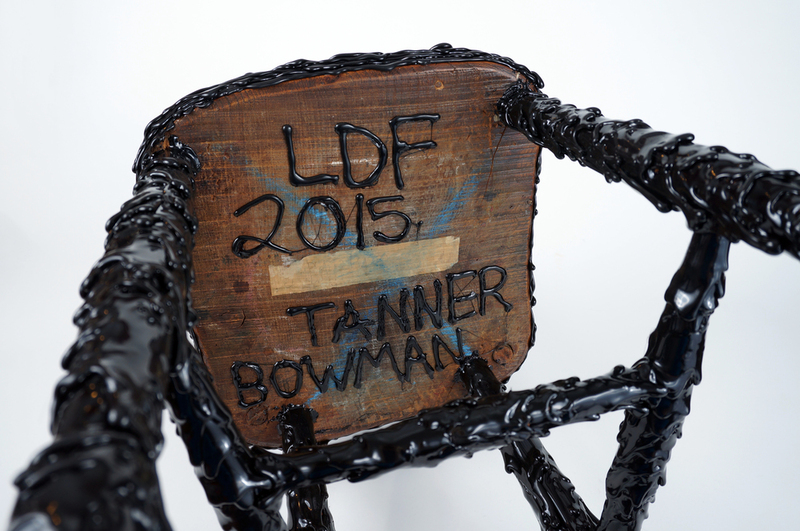 The chair was "reupholstered" as a live demonstration at SuperBrands London, during the 2015 London Design Festival. 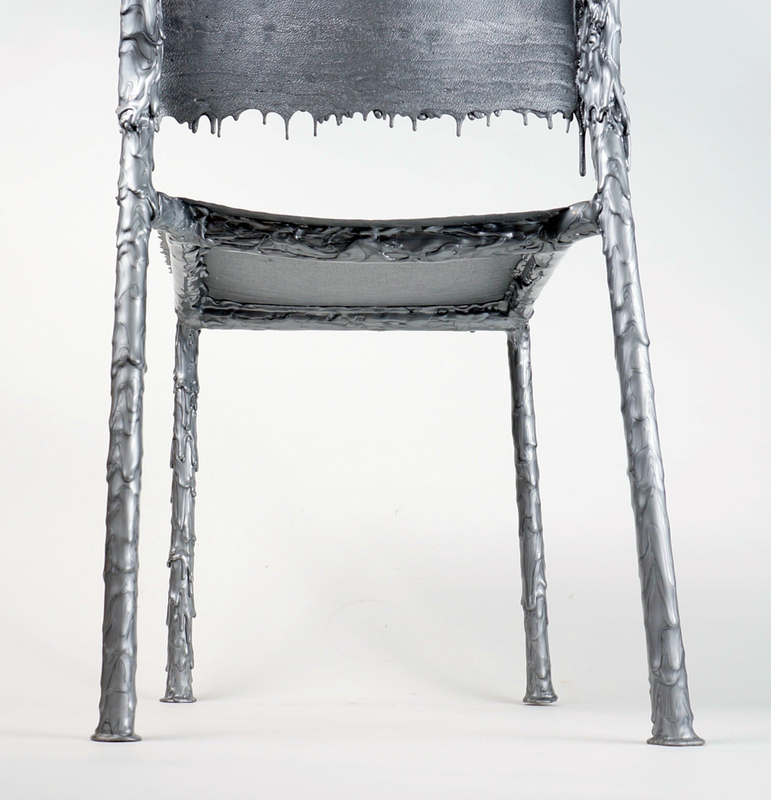 The silver chair uses an old Ikea "Laver" chair frame donated by Erik Newman. I wanted to give this very basic chair some more personality and labor than Ikea originally did.